Starrett tools have been known for their high level of precision and quality American-made tools since 1878. It is easy to look at their tools and wonder what makes them worth the price, and the answer to that question lies in the remarkable level of precision as well as the long life of these tools. Plan to hand your Starrett tools down to the next generation! 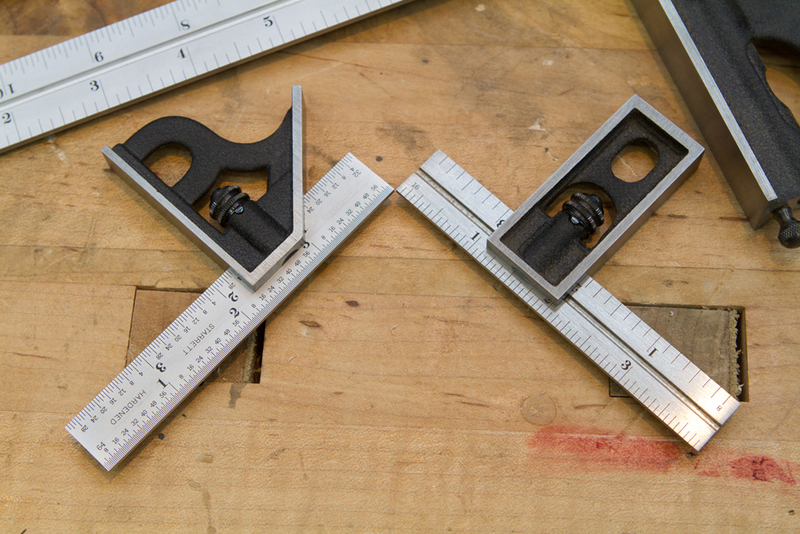 Starrett precision squares start square and accurate and stay that way, even after years of use. The graduations are precision machine marked – not stamped or printed on. They won’t wear off or become hard to read. The blade can be installed in the head in four orientations – so all four scales can be used in every application. In short, they’re just better than other combination squares. The Double Squares come in 4″ and 6″ versions. Marc Spagnuolo has recommended the 4″ version as an “always-in-the-apron” favorite. The Combination Squares are available in 4″, 6″, 12″ and 24″ as well as 150mm and 300mm sizes. 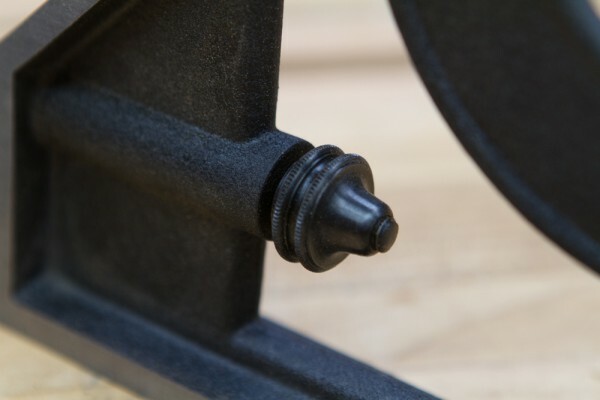 While the 4″ and 6″ and 150mm models come only in the standard cast iron head with black wrinkle finish, the 12″ and 300mm sizes offer the option a set that includes a center head and a protractor head, a fitted case, a hardened steel square head and a gloss black finish. You can also purchase an additional 24″ blade to fit the 12″ square head to get more layout use out of your 12″ Combination Square. 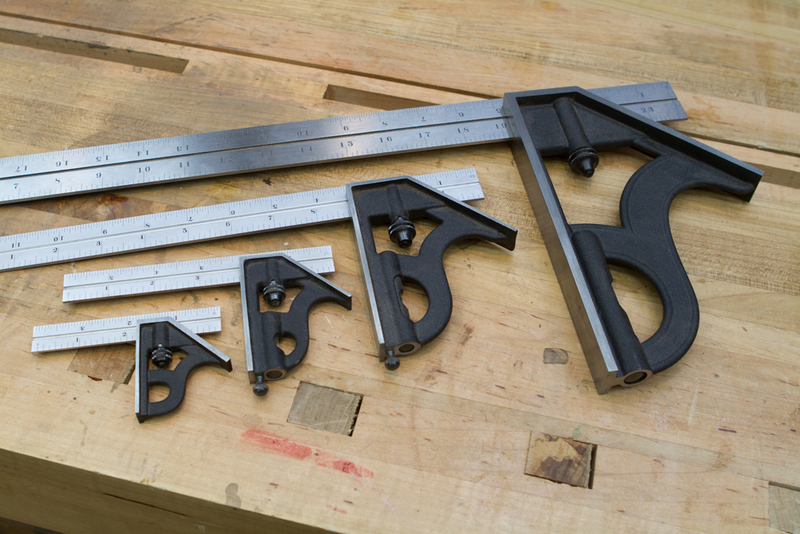 And of course the 24″ Combination Square is excellent for your larger projects, such as working with giant redwoods. The clamping mechanism that holds the rule to the square body is one of the really special aspects of the Starrett squares. On cheaper rules, this mechanism is not milled precisely and that lack of precision causes less-than-smooth operation, including difficulties inserting the blade into the head, sliding it back and forth, locking it down and releasing it. 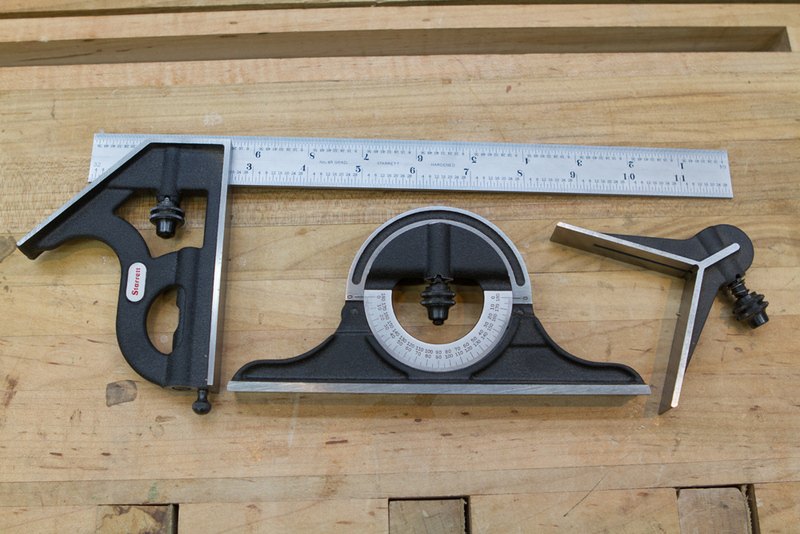 The ruler in a Starrett square always slides smoothly in and out but also locks down square. 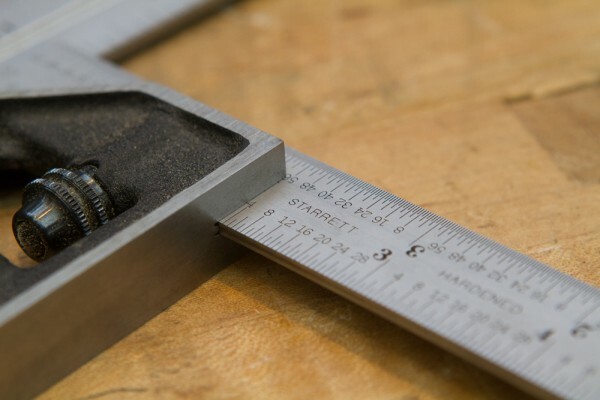 Take a look at Matt Cremona’s tour of the Starrett squares to learn more about these precision tools. The Truths to Appreciating Old Hand Planes POLL: How do you rate yourself as a woodworker?